James Watson wants to sell his Nobel prize because he's all butthurt that he isn't given enough respect. Let's club together to buy Watson's Nobel medal, melt it, and have it recast with Rosalind Franklin's name. Who's in? The narrative of Franklin's contribution being slighted is very powerful. Many, including family, have guessed about what she would have thought. But as far as I know, Franklin was never interviewed about her reaction to Watson and Crick publishing the DNA structure before her, or using some of her data to work out the structure. 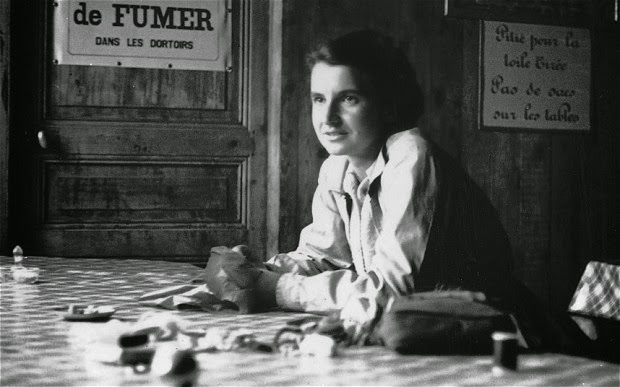 She died from cancer before the Nobel prize for DNA structure was awarded, in any case. Maybe this little incident gives a sense of whether Franklin felt wronged or cheated by Watson and Crick. When she was diagnosed with cancer (which ultimately killed her), she recuperated from her first surgery as a house guest of... none other than Francis Crick. I've found this anecdote in a couple of biographies (here and here; excerpts below). It's certainly not definitive proof about what she thought of the whole thing, but it might suggest that Franklin didn't consider her former competitor to be her scientific enemy. Not only do we not try to save the latter, we’re actively trying to wipe it out. A recent article notes that one of the effects of breeding endangered species in captivity is that organisms that live on them can suffer. 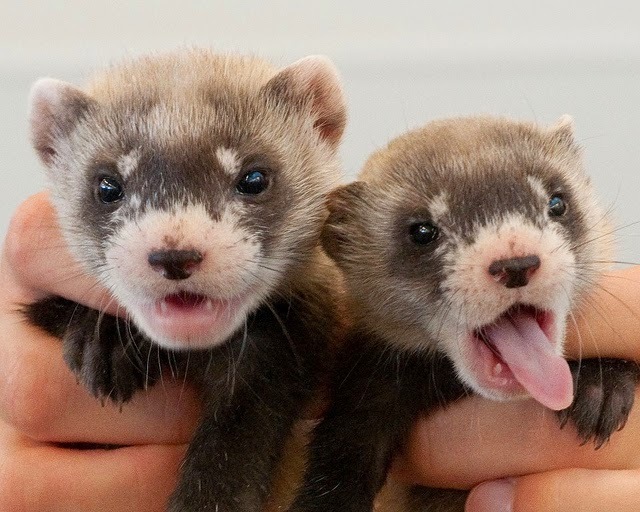 The black footed ferret (top picture) had a louse species specific to it that is probably gone forever. The same holds true for the California condors (second picture from top) bred in captivity, then released into the wild. The captive-bred animals were, perhaps, too healthy... from a certain point of view. 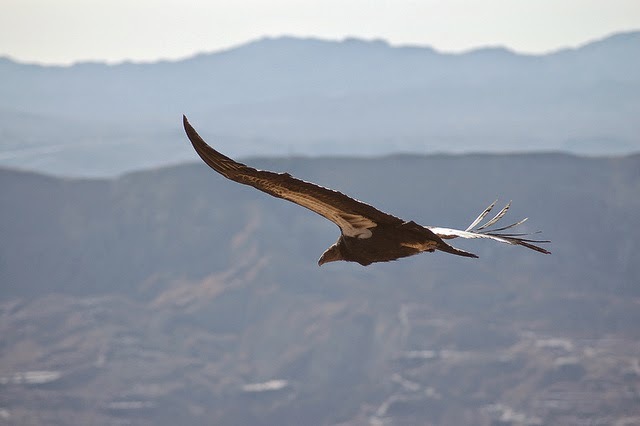 Lice that lived on the condor were removed systematically, and as far as we know, that species is now extinct. These do not appear to be the only examples. Those cases might be unintended consequences. 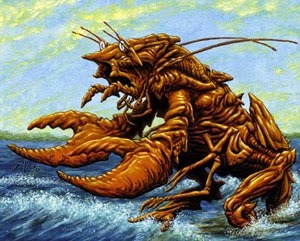 It is possible that the people involved did not know about the parasites that lived on those species, and may have though they were general parasites, rather than ones that specifically lived on those species. But it raises an interesting ethical issue about how much we value living species. The third picture in my series is Dracunculus medinensis, also known as the Guinea worm. The Carter Center, founded by former American president Jimmy Carter, is spearheading a campaign to eradicate this species. Admittedly, Guinea worm is a human parasite that has caused a lot of misery to a lot of people over the millennia. Nevertheless, it is as irreplaceable a life form as much as a ferret or a condor. I have never heard anyone suggesting that we might want to consider saving this species. I can see the case for wiping out this species if it was an obligate human parasite, and there was no other way for this thing to live than infect human beings. 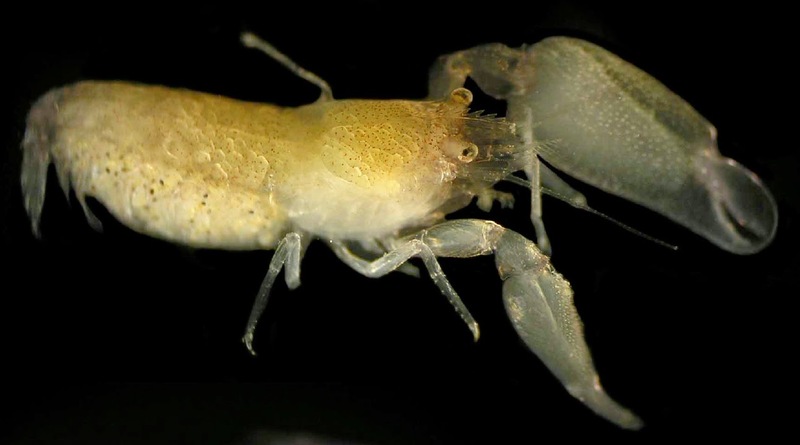 But Muller (1972) showed decades ago that this species can be reared in captivity, in a non-human host. Some sources suggest it has a fairly wide host range (but haven’t been able to confirm that with peer-reviewed journal article yet). If you think that conservation of biodiversity is a good thing, should someone start a Guinea worm captive breeding program? The goal might not be to reintroduce the species into the wild, given the harm it causes. 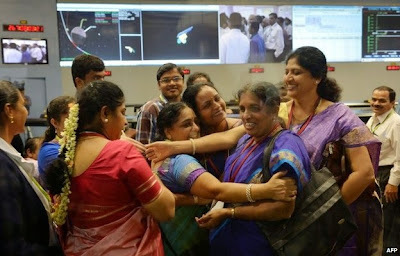 Instead, the goal could to preserve it in perpetuity, both for scientific research and because of its intrinsic worth as part of the life on our planet. Maybe we should have a parasite bank to go next to our seed banks. 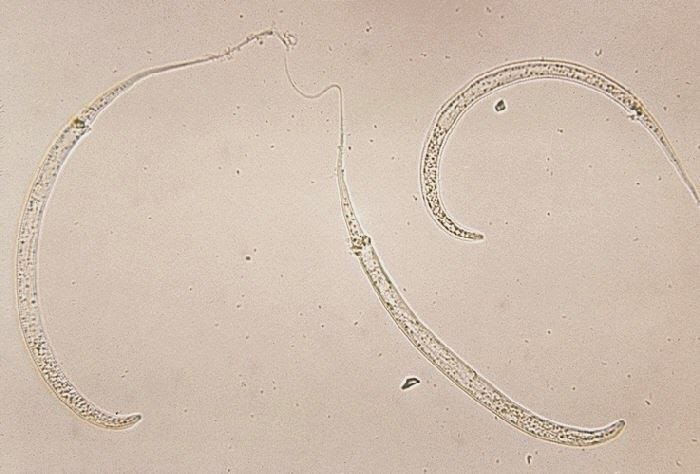 Additional: Parasitologist Mark Siddall calls the expected loss of the Guinea worm something to celebrate in this New Yorker article. Mark and I tweeted back and forth on this quite a bit, and I am glad to have his article, with a personal touch, as a counterpoint to my little armchair essay. Ferret picture by USFWS Mountain-Prairie on Flickr; condor picture by Pacific Southwest Region on Flickr; both used under a Creative Commons license. Guinea worm picture from Wikipedia. Tuesday Crustie: Back of the line! The segment above (from the BBC series Life Story) shows hermit crabs exchanging shells in a rather remarkable way. I wondered if this had been documented in scientific literature. I’ve read a fair number of papers on hermit crab shell choice, but not this queuing behaviour. And with a little searching in Google Scholar, voila! Hat tip to Emily Anthes and io9. 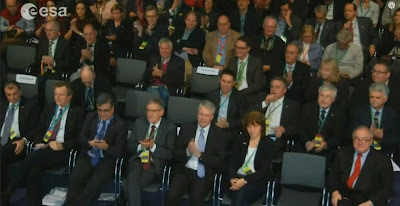 Jon Tennant, Mike Taylor, and Jacquelyn Gill all look at conference tweeting. I’m fascinated by how we make and hold beliefs, often in the light on contrary evidence. You see how easy it is for us to have false belief in many patients with brain injury. Many have false beliefs and explain away contradictory evidence effortlessly, which is called confabulation. 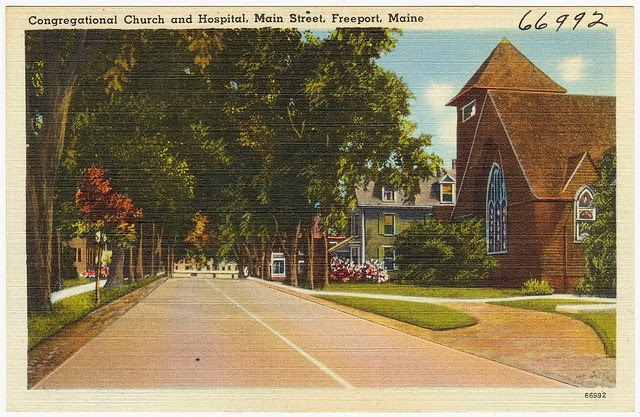 In one patient I had, the patient was a woman who, although she was being examined in my office at New York Hospital, claimed we were in her home in Freeport, Maine. The standard interpretation of this syndrome is that she made a duplicate copy of a place (or person) and insisted that there are two. ‘Doctor, do you know how much it cost me to have those put in? Because of her lesion the part of the brain that represents locality is overactive and sending out an erroneous message about her location. The interpreter is only as good as the information it receives, and in this instance it is getting a wacky piece of information. It’s easy to think of this as just an amusing story of someone with brain injury. 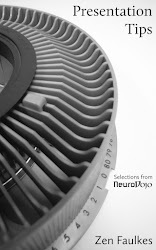 I think we all have the same mechanisms in our brain that are making sense of the world as best they can. We can all have beliefs that make perfect sense to us, but seem bizarre to outside observers. Photo by Boston Public Library on Flickr; used under a Creative Commons license. 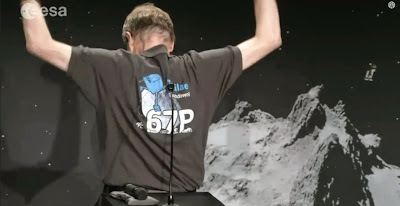 The speaker of the moment, Johann-Dietrich Wörner, chairman of the board of the German Aerospace Center (DLR), reveals a P67 polo shirt on stage after the landing. Maybe it would have slipped by me if I hadn’t been aware of the shirt issue. But after the shirt issue, and Matt Taylor also talking about Philae coming down for “the kiss,” (also not reported much) I cringed a bit. 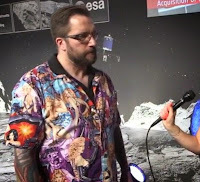 Given that I’d seen a bunch of stuff about Matt Taylor’s shirt, I was also saddened when I saw the composition of the audience at the livestream. I count about five women out of about 35 faces in this one screen grab.When it panned around, the proportion of women in the audience seemed even lower. Update, 14 November 2014: Matt Taylor apologizes for the shirt. This is positive. I do wish he’d also have acknowledged that some of his comments were a bit cringe-worthy, too. Periclimenaeus echinimanus is a small sponge-dwelling shrimp from the Red Sea that was only described a few years ago. The species name means “sea urchin hand,” because it has spines on its claws that some of its relatives don’t have. The University of Texas System is confirming that the mascot for the University of Texas Rio Grande Valley will be the Vaquero. 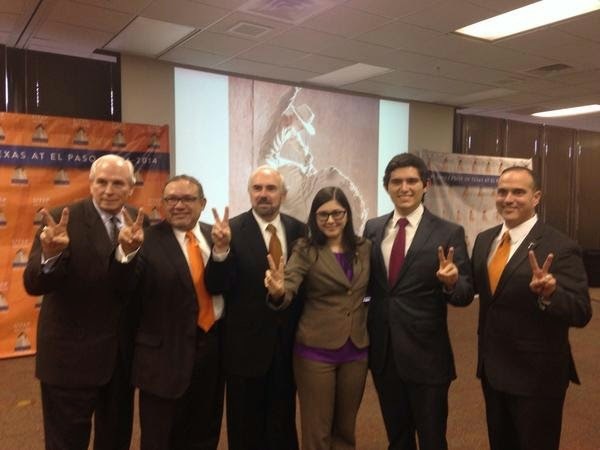 I feel sorry for UTRGV president Guy Bailey (third from left; pic from here). There was just no decision that was going to make people happy. There were a lot of people in Edinburg and McAllen who wanted to keep the University of Texas Pan American’s mascot, Bucky the Bronc. But that choice would have ostracized everyone who had ties to University of Texas at Brownsville. 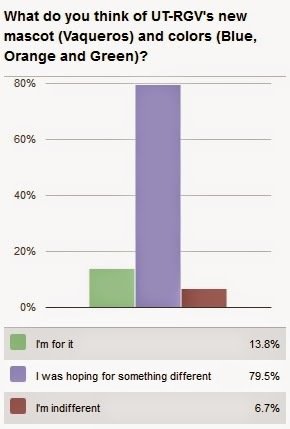 One of the last surveys showed a lot of people wanted some sort of compromise. That came though in the colour recommendations: UT system orange, plus green from UTPA, plus blue from UTB. From his opening comments, it was clear that Bailey saw “Vaquero” as Americana that nobody could object to. “Nothing more iconic than a cowboy” is pretty close to what he said in his comments. While Bailey might have expected that nothing would keep the Bucky fans happy except Bucky, I don’t know if anyone could have anticipated the flames that started pretty much the instant he announced the recommendation. 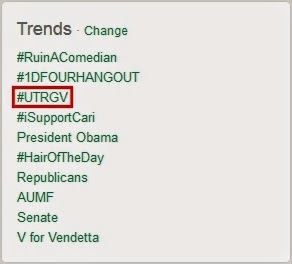 Having watched this process from the very first meeting at UTPA,“Vaquero” was a name that people suggested. It did not come out of the blue. It was not a random choice from Bailey, or the Board of Regents. But when it was mentioned as a possibility, I never got, from any of the discussion, a hint of the fury that emerged over the decision. It wasn’t just that people were mad about losing Bucky (which I expected), but the charges erupted almost immediately that the name was racist – and, to a lesser degree, sexist. Really? I get being upset with the decision. But that? That art’s not okay. I was also upset by the number of people who said they either would not come to, or wanted to leave, UTRGV because of the mascot. As a faculty member, it bothers me that a foam rubber suit means more to students than the work my colleagues and I do in trying to perform the best possible research and do the best possible jobs of giving students a top notch education. If the mascot means more to you than the quality of the faculty and staff, I invite you to re-examine your priorities. 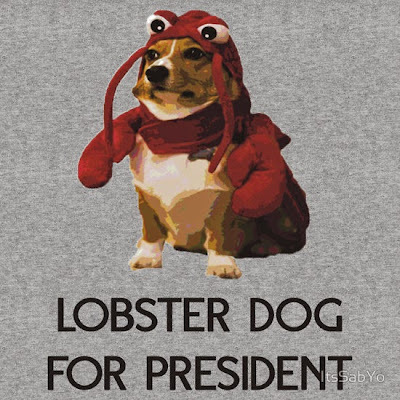 I have problems with this choice of mascot. I deeply dislike that it’s “cowboy,” which overlooks that about 60% of UTPA students (and, I’m guessing, UTB students) are female. There’s already been complaints that people (including Bailey) don’t pronounce it right. Wiki says it’s “baˈkeɾo,” with a B, which makes the connection to “buckaroo” make more sense. Finally, I think it’s just too obscure a name. I spent years explaining to people where UTPA was. Now I have to look forward to years of explaining what a “Vaquero” is. 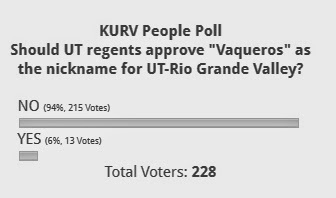 It’s interesting to contrast to the decision to name of the institution, where UTRGV bubbled up pretty quickly and had wide community support. Bailey admitted there was no consensus on the mascot, which must have made his job tough. (Results of one of the last surveys is here. 45% said “none of the above” to the suggested names.) But now, I worry that Guy Bailey has just burned up any support or trust that he might have had from the community. I wish there had been images like this to go with the announcement. Because, damn, that’s a cool image, and a reminder to me that maybe, just maybe, this name could work. Update: The UT System has just put out a press release that is, frankly, a little more honest about the pushback than I would have expected. While the selection drew support from many... it also spurred a backlash on social media, primarily from those who wanted to keep UT Pan American’s nickname, the Broncs. It then goes on to the “Rah rah rah!” tone more typical of press releases. Instant controversy: just add Vaquero! Bucky is gone - move on! 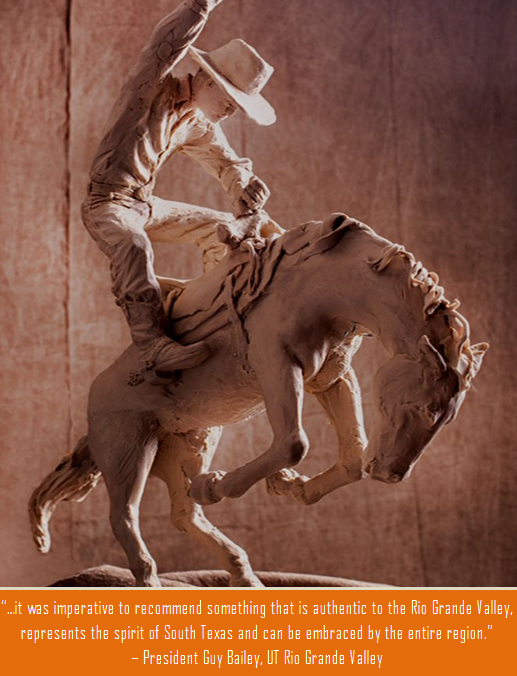 The mascot of the University of Texas Rio Grande Valley will be the Vaquero (Spanish for cowboy). The announcement happened just at the start of my General Biology class, so I streamed the announcement, and did a quick poll. The choice got more “Boos!” than anything else. I think Bailey is going to have to do a lot of public relations before people are okay with his decision. I’ve written about the prospect of “Vaquero” before, and I stand by those comments. In particular, I’m surprised at the choice when another institution, Santa Barbara City College, already has that as its mascot. I’m even more baffled when I consider the colour choice. The choice of colours was UT system orange (which had to be there) along with UTPA green and UTB blue. As I noted before, one potential mascot that had both those colours: the green jay! But I am pleased that one way or another, the campaign to #SaveBucky is over. Bucky is going away. 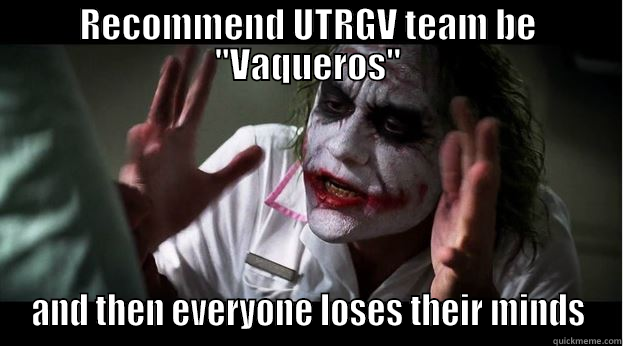 Whether you’re pro, con, or indifferent to Vaqueros, let’s move on. It’s a new university with a new identity. 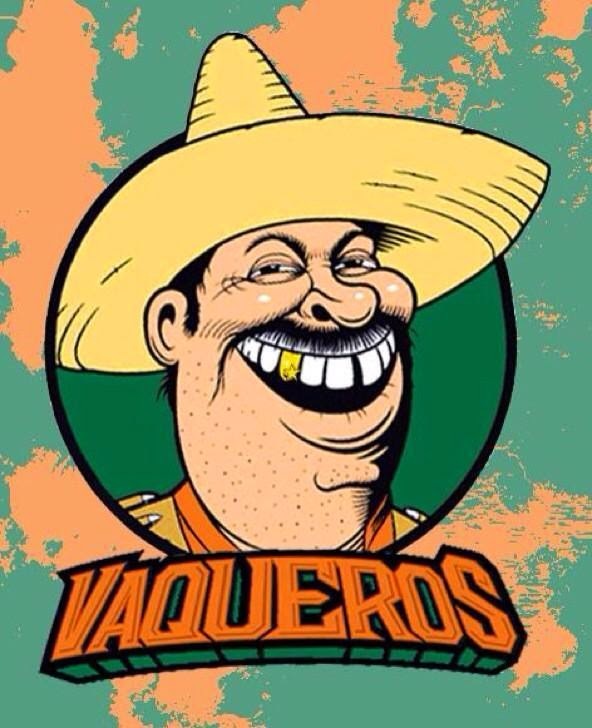 Update: A local television station poll shows little support for Vaqueros. I went to Matthew Halton High School in Pincher Creek, Alberta. I had never heard the name “Matthew Halton” before attending the school, though while there I learned he was a journalist in World War II. But that was about all I learned. 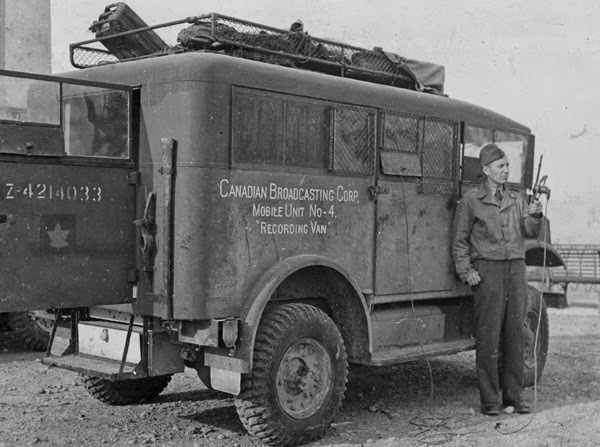 For that reason, I was very interested in this interview with David Halton, who carried on his father’s tradition and was a journalist with the CBC. David Halton has just released a book about his father called Dispatches from the Front: The life of Matthew Halton, Canada’s Voice at War. While I was updating the Neuroethology webpage today, I got sucked into watching this excellent retrospective on Steve Ditko, whose birthday is today. Almost any person claiming to be familiar with comics will recognize Steve Ditko as the original artist of The Amazing Spider-Man. I also knew that Ditko was well known as retiring from the public spotlight. That helps make this documentary completely fascinating, because there is so much about Ditko that just is not widely known. I was particularly fascinated to learn about the character of Mr. A, an Ayn Rand inspired character. While it seems odd to wish a birthday to someone so famously quiet and retiring (but not retired), I hope Mr. Ditko enjoyed the day. Mathbionerd has a look at different funding sources.